This article is part of the “Think Further” series sponsored by Fred Alger Management. For more “Think Further” content, please visit www.thinkfurtheralger.com. There is almost nothing I’m certain of except that life is an uncertain thing and that it seems to change a lot. Even in the most predictable of settings, even the minutest changes in detail can have a lasting and overwhelming effect on nearly everything in its atmosphere. In healthcare, a space seemingly immune to the status quo, things seem to get a whole lot more complicated. The same can be said of life and death, health and well-being. On their own, they are not so difficult to understand and often, in most cases, predictable and redundant; until the final days, of course, then things begin to get a little more complicated. When we’re fine, we’re fine. Life is good and most of our concerns seem trivial. Then health gets involved and the minutest change in detail can send our lives in a spiral so much so that we barely recognize our place in it let alone who we are and where we belong. When such an occurrence arises, we begin to rely on beeps and buttons, software and technology in ways never before imagined for the intersection of our lives. Clearly, the health IT landscape will be completely different five years from now. From where we stand today to where we’re headed, we’ll likely look back on this moment and wonder how we survived such archaic times. Just a couple years removed from the age of the electronic health records, technology that already seems dated and antiquated, is no longer monolithic and domineering to the space as it likely seemed in 2010. Our future selves might stand on the threshold of 2020 and say that we were being single minded. The technology — EHRs were supposed to save healthcare and are now nothing but foundational. The technology was supposed to simply aggregate information collection, provide for the ability to quickly share information system wide and around the world; and give us the capability accessing all of a patient’s information at the tips of the proverbial finger. When the promise of those solutions faded (yes, their stars have faded) and as our attention forced us into new technologies (primarily because of consumers’ desire) we are now seeing developments in technology creating touch points that impact patients “where they live” and has become the new force behind healthcare technology. Consumers will drive healthcare’s future. Probably not a secret at this point, but a point that is hard for the old guard. They’ve had enough of being left out of the ownership process regarding their own health. They’re tired of being locked out of their own records, and kept access to their own information. Such data would not exist without those helping produce it. New consumer technologies have and will further level the field. Consumer tech will continue to spur innovation, at light speeds. 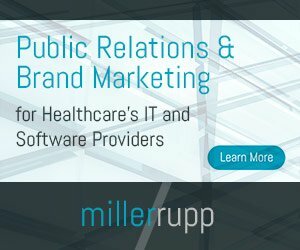 Data will flow between healthcare parties and its consumers; HIPAA protections will be waived and open access for the social good will become the norm. Standard and traditional approaches when dealing with patients, in a generation or so, will be completely different and far less segmented, as they are now.